Want to avoid the popcorn line at Ghostbusters, X-Men or another summer blockbuster? Smuggle in some of these delicious artisanal candies. The handmade caramel, nougat and fudge sampler (above) includes flavors like mango–passion fruit, cassis and roasted coffee. $18 for 3.5 oz. ; swmsweets.com. Made with pure organic mint oil from a family farm in Oregon, they're like Junior Mints on steroids. $9 for 5; seelymint.com. Satisfyingly crunchy milk chocolate malt balls are dusted with not-too-sweet cocoa powder. $12 for 10 oz. ; fikanyc.com. 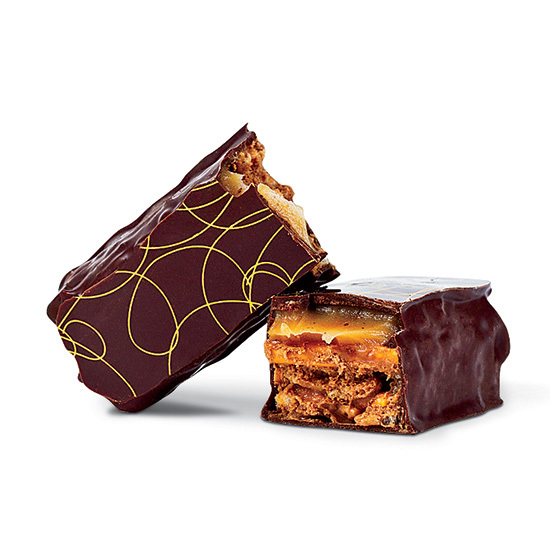 The hazelnut praline bar from Amy's Candy Bar is layered with caramel and milk chocolate ganache. $5 each; amyscandybar.com. 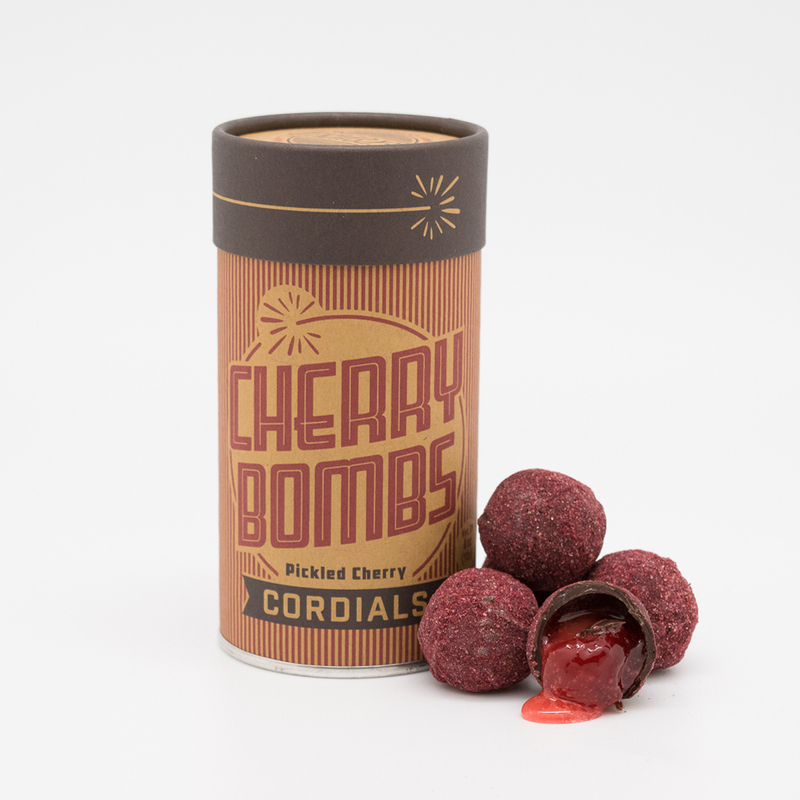 Pickled maraschino cherries enrobed in dark chocolate are unexpectedly tangy and sweet. $18 for 4 oz. ; seersuckercandyco.com.